Searching for the perfect spot to unwind and relax with friends this weekend? There’s no better place than at one of the many laidback wineries and breweries in the Liberty Hill area. So, get ready for a great Saturday afternoon because here are five of our favorites, all just minutes from Orchard Ridge. Thirsty Mule Winery & Vineyard offers a truly unique experience as one of the only underground wine tastings in Texas! Travel four feet underground into the Tasting Room, where you can sample a variety of house-made wines. If you find yourself in love after a flight, you can join their Wine Club for free and discounted wine. This micro-brewery is transitioning into a Farm Brewery, so it won’t be long until you’ll be able to enjoy even more delicious seasonal and small batch beers in the Tap Room. The Tap Room is only open on Saturdays, but it’s well worth it to be able to try their amazing brews. And while you’re there, check to see if they’re offering tours that day! For a low-key hangout spot, look no further than Red Horn Coffee House and Brewing Co. They offer local taste at its finest, with house-roasted coffee, house-brewed beer and locally sourced baked goods, cheese, wine, sandwiches and more. And with live music by local artists, you’ll want to come back time and time again. At the San Gabriel River Brewery, you can explore ‘The Next Generation of Craft Beer’. Visit their tap room to try out all of their delicious brews, and maybe even find a new favorite. San Gabriel River Brewery also regularly hosts events. So, check back often so you don’t miss out! Located in historic downtown Georgetown, the Grape Creek Winery Tasting Room offers samples of all of their amazing, robust wines. 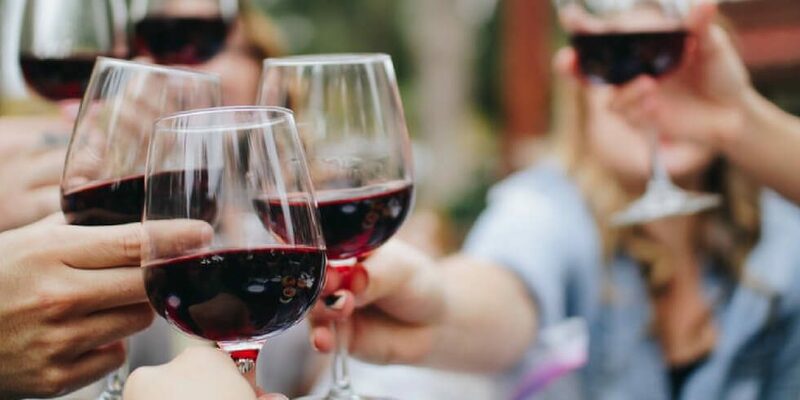 Take a stroll through downtown and when you’re ready, head over to enjoy a guided tasting of six different wines, or just settle in with a glass of your favorite. Orchard Ridge is conveniently located to provide access to entertainment, shopping and easy commutes to work. To learn more about what Orchard Ridge has to offer, join our Founders Club to receive news and updates.